Jim Blythe is Visiting Professor of Marketing at University of Plymouth, UK. Jim Blythe has been a Merchant Navy officer, a ladies hairdresser, a business consultant, a rock musician, a truck driver, a company director and an award-winning playwright all before becoming an academic – he always planned on having a varied life and likes learning new skills. Currently he is trying to learn to grow vegetables (with limited success...), but he has a pilot’s licence and has learned to play drums in a samba band, so the beat goes on. 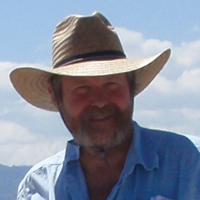 Jim has written 18 books, over 50 journal articles, and has contributed chapters to 8 other books. He has taught overseas, written open-learning packs for international training organisations and has been a Senior Examiner for the Chartered Institute of Marketing.